Sometimes, she needs to kick back and relax too. Let her enjoy her favorite wine out of her own "sippy cup." 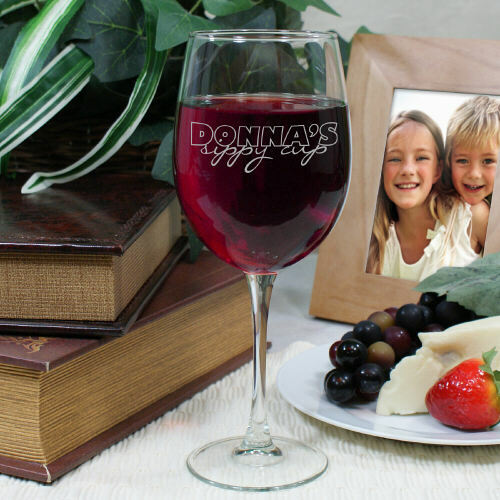 This engraved wine glass would make great personalized aunt gifts, sister gifts, or mom gifts. Free personalization of any title or name is included making this one of the best gifts for aunts, moms, or anyone else that you can find. Great glass. Thick and good size. Great quality item, great price. 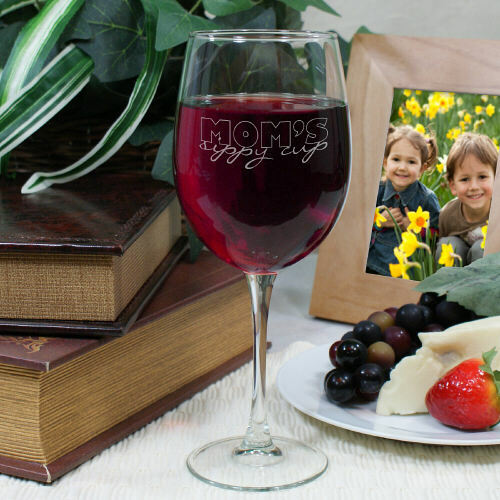 Additional Details Look through all of our Mother's Day personalized kitchen gifts to find the perfect fit for your Mom, or find the perfect personalized gift for another special person on your list today!